Are you squeamish? Then please—please—hit the "Back" button and do not look at the GIF below. 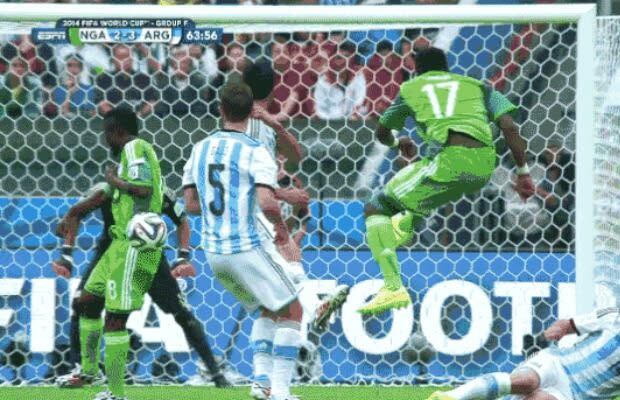 It features Nigerian soccer player Michel Babatunde breaking his arm during his team&apos;s match against Argentina today. His arm appeared to snap in half after his teammate took a shot that nailed him directly in the arm and…well, the injury is not for the faint of the heart. "Ouch" doesn&apos;t even begin to describe it.